Toronto: the city of migration, the city of collaboration! In this one short visit, Toronto showed its strength of cultural volatility and power of diversity from every corner of its city - that is its citizens and its people. Regardless of their colour of skin, from the helpful information desk in the airport to friendly taxi driver and from polite shop clerks to smiling strangers who were in the same elevator, it appeared to me that Toronto truly welcomed every newcomer. Canada ranked as one of the World’s most friendly countries in HSBC’s Expat Explorer, and the City of Toronto, received nearly 50% of all recent immigrants to Canada. In statistical projection, by 2031, almost one-half of population over the age of 15 will be foreign-born or have at least one foreign-born parent in Canada. While the city calls itself the city of migration, I will call it the city of collaboration. In the visited organisations, Toronto Region Immigrant Employment Council (TRIEC), Maytree Foundation, ACCES Employment and the City of Toronto, they all demonstrated a shared motto - in union there is strength, immigration is the source to Toronto region’s economic growth, let’s make things work. There is strong cooperation web that pulls these actors together in sharing resources and knowledge to serve their customers, skilled immigrants, better. In addition to the City of Toronto’s and Maytree Foundation’s strive for the diversity and the internationalisation of Toronto region, TRIEC and ACCES Employment as third sector actors also support the employment of skilled immigrants. Established in 2003, TRIEC is a multi-stakeholder council which gathers employers, service providers, community agencies and all three levels of government. TRIEC implements local and practical solutions in skilled immigrant’s employment through strengthening professional immigrant networks, sharing knowledge for employer organisational change and increasing engagement between employers and skilled immigrants. ACCES Employment is an employment office focused on skilled immigrants through providing professional training and job search to ease newcomer’s access to the job market in Toronto region. Serving nearly 16,000 skilled immigrants a year, ACCES succeed in helping 80% of its clients to land their first job in their professional field within 6 months. This trip to Toronto has given the Expat-project an overview of the roles of governmental institution, Toronto City and third sector organisations. It also shed lights on different cooperation models in immigration that the Expat-project can bring home to our regions. The case of Toronto proves that the global competition for talents is on and the Toronto region is clearly leading the game. All these actors demonstrated a strong commitment in collaboration with each other in order to make Toronto region a truly attractive place for international talents. They work closely with each other through various initiatives and third sector parties, e.g. CIIP, Host program, Mentoring program, City of Migration, CASIP etc. The government and political leaders also clearly facilitate and lead the process by providing sustainable funding programme to support priority actions in attracting and retaining international talent. While comparing the regional situation in the topic in question from Canada to our partner countries, one can argue that the political systems and the history of receiving skill immigrants are different. However, global mobility and the flows of talents to our regions are clearly increasing more than what our regions are prepared for. 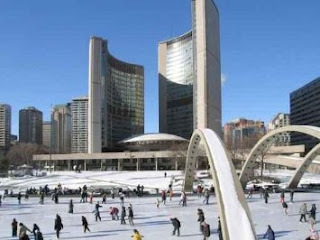 To quote one word from Ms. Susan Brown from City of Toronto, “The future will be different than the past”. While we are looking into the future, it’s about transformative change that requires us to think and act differently so that we can cope with the opportunities and challenges brought by the future. From these amazing stories and lessons learnt from forerunners in Toronto region, it is self-evident that the collaboration amongst actors is the key to Toronto’s success in talent attraction and retention and that a strong political will perform wonders. 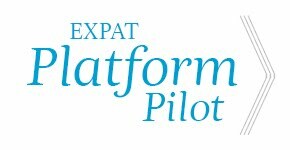 Expats in Estonia! Come and make the Tallinn region your own! How was your experience moving to Tallinn region as an expat? Did you get any help in settling in? What should Tallinn region do in order to make this place your home to stay? Come and join us in EXPAT project’s workshop. Here is your chance to have your voice heard and meet like-minded internationals. We want to hear your opinion about Tallinn region from your point of view! Register now! Limited seats available! Expats in Estonia! Come and make the Tartu region your own! How was your experience moving to Tartu region as an expat? Did you get any help in settling in? What should Tartu region do in order to make this place your home to stay? Come and join us in EXPAT project’s workshop. Here is your chance to have your voice heard and meet like-minded internationals. We want to hear your opinion about Tartu region from your point of view! held liable for the information published by the project partners.